Senior management at all levels are pressured to improve their organizations risk management capabilities. In a landscape filled with new threats and new regulations, risk management has never been more critical to senior leaders in all sectors. Whether you are maintaining an online banking system, sharing healthcare data with a business associate or rolling out a new mobile device policy to agency staff, you are tasked with understanding the information security risks and the management of controls. - Develop a multi-tiered risk management approach built upon governance, processes and IT. - Articulate the extent or size of a risk, and learn how to measure and communicate risks. 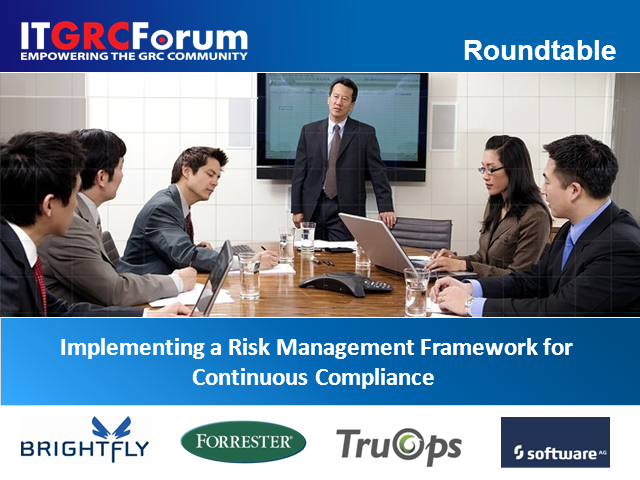 - Implement a risk management framework and link goverance and risk to establish continuous compliance.